Now that Thanksgiving is officially over, we are very much in the holiday season of 2013. I don’t know about you, I can’t wait till Christmas. 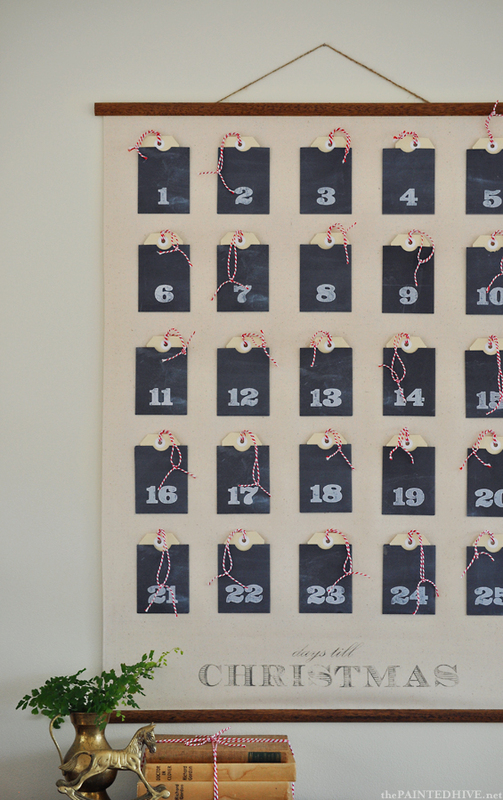 In fact, I have my advent calendar ready and about to start counting on December 1st. This year when I browsed around, I saw many super cute advent calendars. A lot of them are DIY versions. While some advent calendars are more traditional that you reveal a story, poem or image each day leading to Christmas, the ones that I increasingly like is revealing a Christmas ornament each day. Then you get to hang one on the tree every day. This one seems so simple yet it’s very elegant. Inside each envelope is chocolate coins, stickers, beads, hair clips or crayons. So it’s a little something for the little ones to discover. This is another DIY version from thePaintdHive.net. It looks completely pro, yet it’s pretty easy to make. Perhaps you can still have time to do it during this weekend before the official count down. If you are not the craftsy type, there are plenty of cute ones that you can buy. They are solidly built and can be reused next year too. 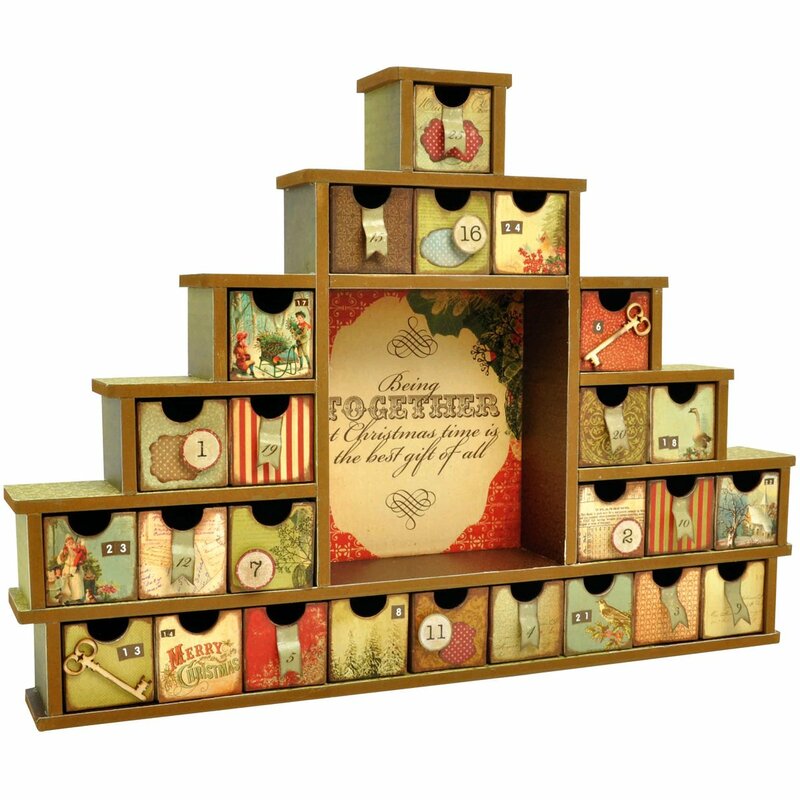 This one is “Beyond The Page MDF Shadow Box With Drawers Advent Calendar,” sold at Amazon for $57.43. 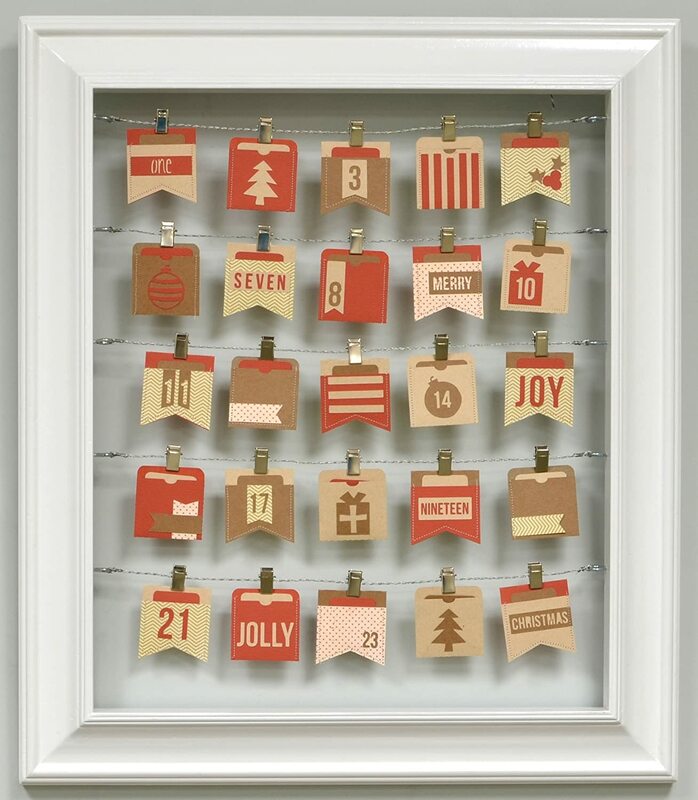 Another adorable one is this wall framed advent calendar. I see this one has the potential for other count down events. Maybe counting down birthday or anniversary? It’s so versatile. 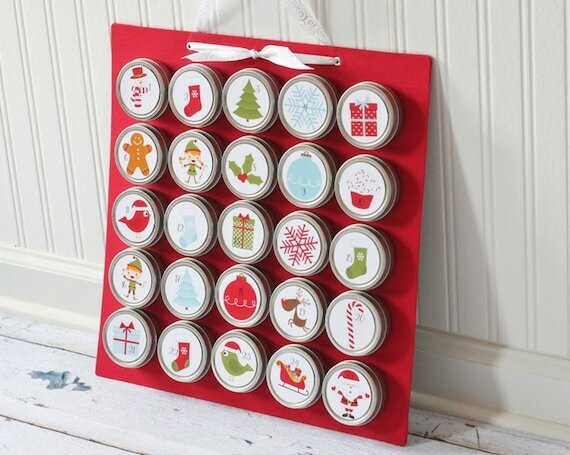 This Christmas Advent Calendar with Magnet Board. These little tins are big enough to hold candies and small toys. The face stickers are also magnets, and you can swap out different themes next Christmas or for another event. Besides Santa and Elves theme, you can choose to have Nativity, Presents, Blue and Red, Red and Green and Wrapping Papers themes too. Comments? 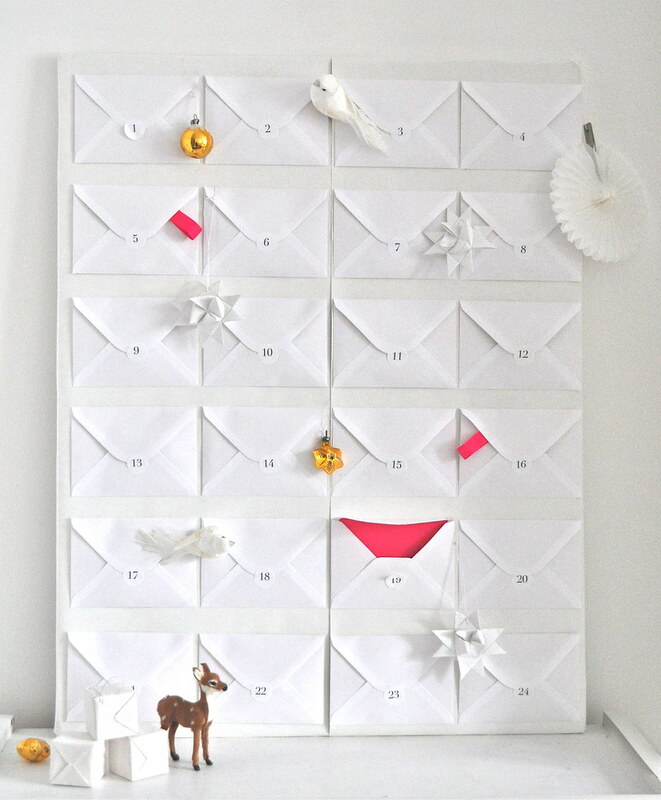 What do you think about these advent calendars? Tell us your experience? Do share!